San Francisco (Obama.net)- For decades, the demand for equality between men and women has been strong throughout the United States. Dating back to the first quarter of the twentieth century when women first got the right to vote, to the first days of women in the workforce, and to the inclusion of women in the military, the equality between the sexes has been steadily growing in the United States. But now the Pentagon is taking it one step further. 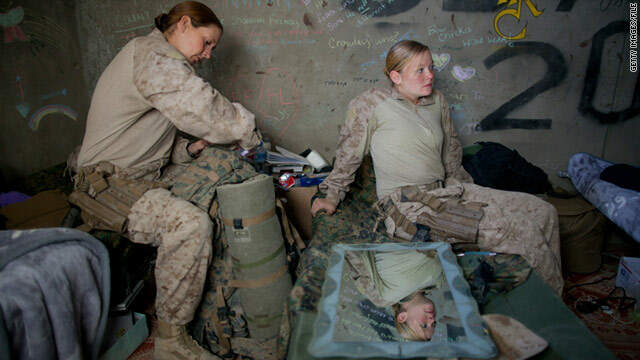 Officials are looking to begin to allow women to serve in combat in the military. The reasoning behind the change is the same as the one behind giving women the right to vote, education, and work: not doing so is discrimination. Also, women are needed in battle to help meet the needs of the military in terms of number of troops and persons of intelligence on the battleground. The allowance of women to serve in battle would bring about a “level playing field for all qualified service members,” according to the Military Leadership Diversity Commission. The group of military officials, business people, and academic scholars are now going to put together a report to present to President Obama and Congress. The President and Congress will then go over the report and then decide whether or not to put it up to discussion in Congress to potentially change the longtime policy of not allowing women to serve in combat. One of the arguments being presented by the commission is that by not letting women serve in battle, it keeps them from having certain job opportunities in the future within the military. The point in the statement is that unlike the wars of yesterday where hand-to-hand combat was a main form of battle and the physical composition of a woman in comparison to a man left women at a disadvantage in most situations, today, war is based more on intelligence and strategy. Women are just as intelligent as men and are more than capable of serving in the combat roles of modern warfare that are not comparable to those of former wars such as World War II, Vietnam, and the Korean War.